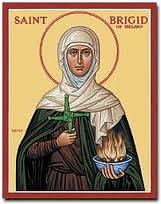 St. Brigid of Ireland is the patron saint of chicken farmers. 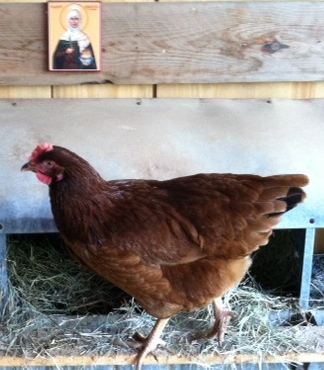 We keep her image hanging in our hen house. To read more about her check out this delightful children’s book St. Brigid’s Cloak.